Banished for a crime she didn’t commit, Karis must learn to live her life alone – and in a world that’s not her own. Cursed on an island of loneliness, forced to endure nearly a century without a friend, the woman once destined to be Queen must find a way to return to her world and save her people from an evil influence. After many years, one man is strong enough to survive the cursed barrier that keeps her from leaving the island. She needs him so she can return to her world; he needs her to put together the pieces of his broken memory. Side by side, Brady and Karis feel their loneliness slip away. Every day their love grows stronger, but will their bond survive the battle between worlds? 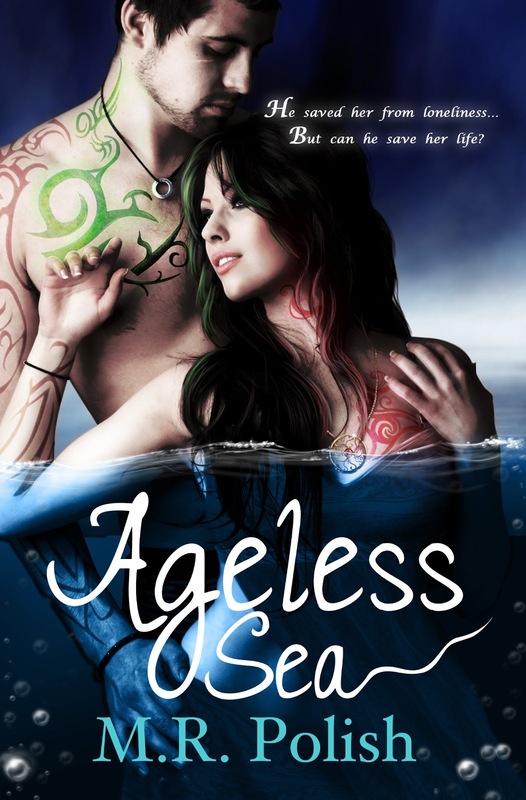 In Book One of The Ageless Series, M.R. Polish takes readers into a world where myths are real, deception lurks in the shadows, and destiny brings two lost souls together to fight as one. “How can you expect to guard yourself against an attack if you don’t even try?” Karis slumped down to the floor of the training room. “If you would quit teasing me, I might think clearer.” Brady flashed his white teeth at her in a playful smile. He moved in closer to her, clearly enjoying her anger as he baited her. “You don’t kick me out either.” He was close enough for his breath to tickle the side of her face. She could smell the mint from the leaves he chewed on earlier.